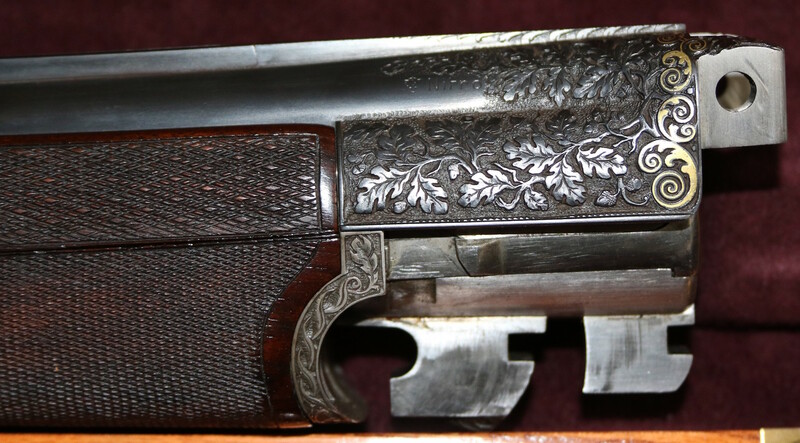 Fritz Kiess was born on June 1, 1887 and became a Master Gun Maker in 1913. 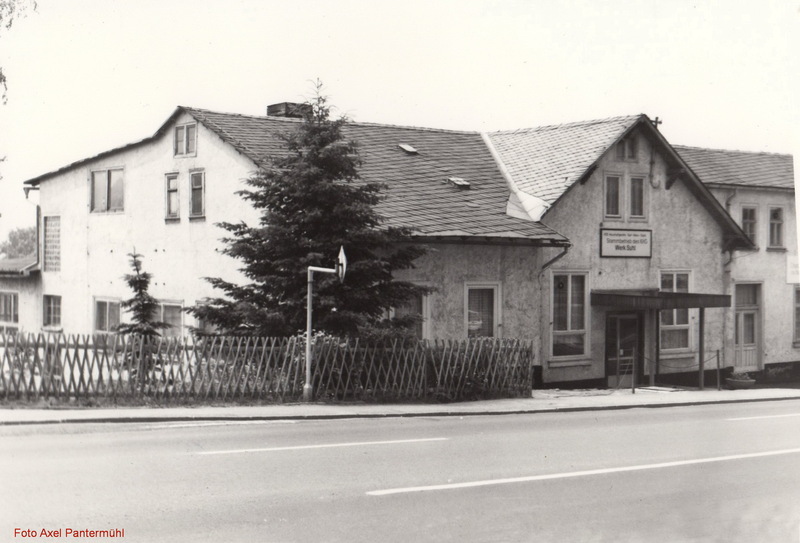 He opened his own shop at Schleusinger Strasse 36 in Suhl in 1919. From 1921 to 1923 he was in partnership with Leopold Stotz and Joseph Gößl (Gössel). 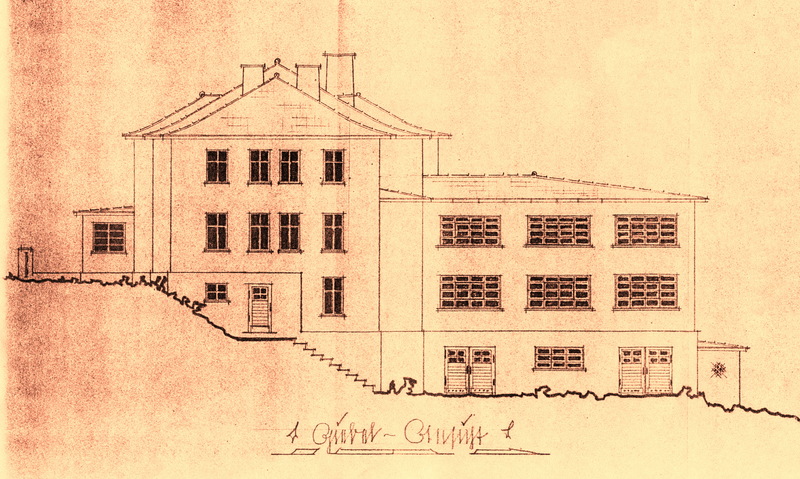 In 1923 Stotz and Gössel left the Company to start their own Company. 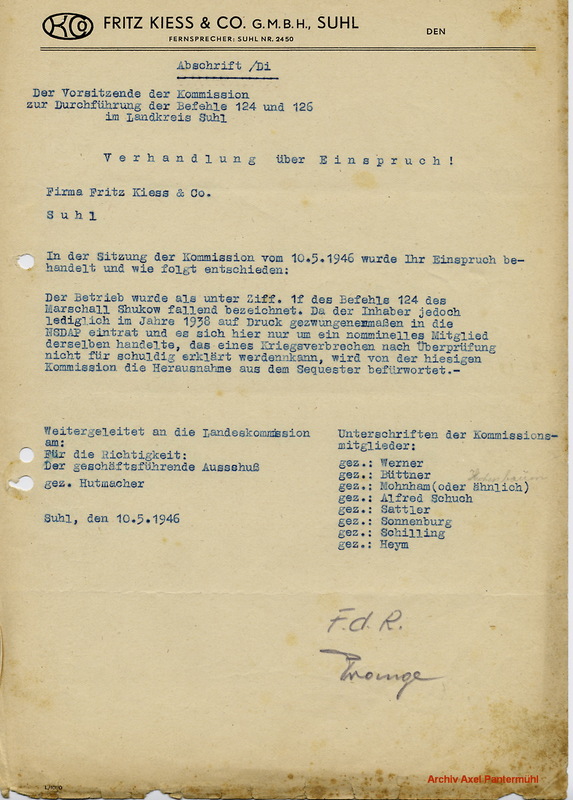 The Fritz Kiess Company was still in business on April 28, 1945 when it was nationalized and given by the Soviets to the GDR together with Haenel, Greifelt, Gebr. Merkel and J. P. Sauer & Sohn to become the Ernst Thaelmann Werke. 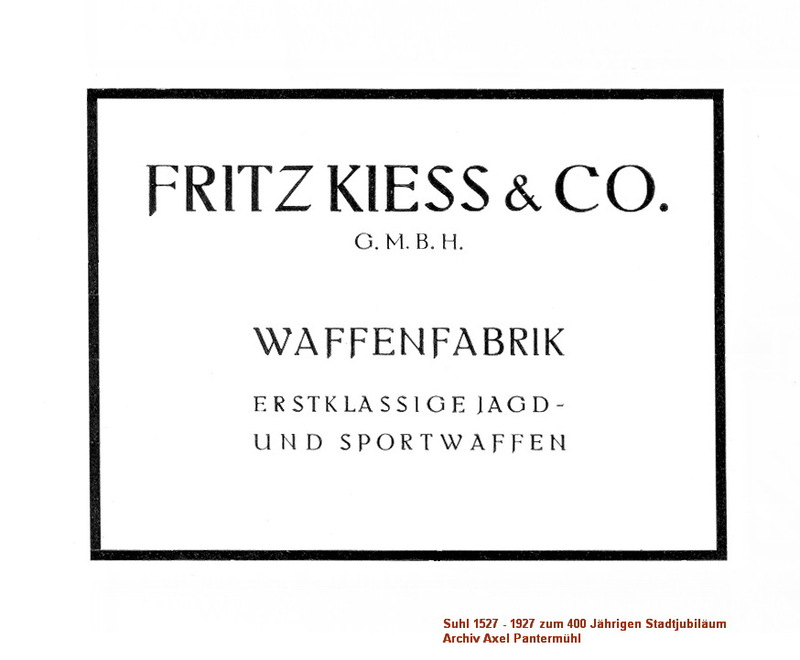 The Fritz Kiess & Co. was reffered to as a Waffen Fabrik or Weapons Factory in deferance to being a Buschsenmacher or Gun Maker. The identity of the engraver is at present unknown. If anyone has additional information that they could share, we would appreciate it. My friend Axel Pantermühl in Germany reports that Fritz’s father was Karl Kiess who was a Gunsmith and that Fritz had seven brothers- Max, Karl, Robert, Edgar, Richard, Emil and Ernst. During World War I Fritz served in the Reserve Infantry Regiment 233, 4th Company. 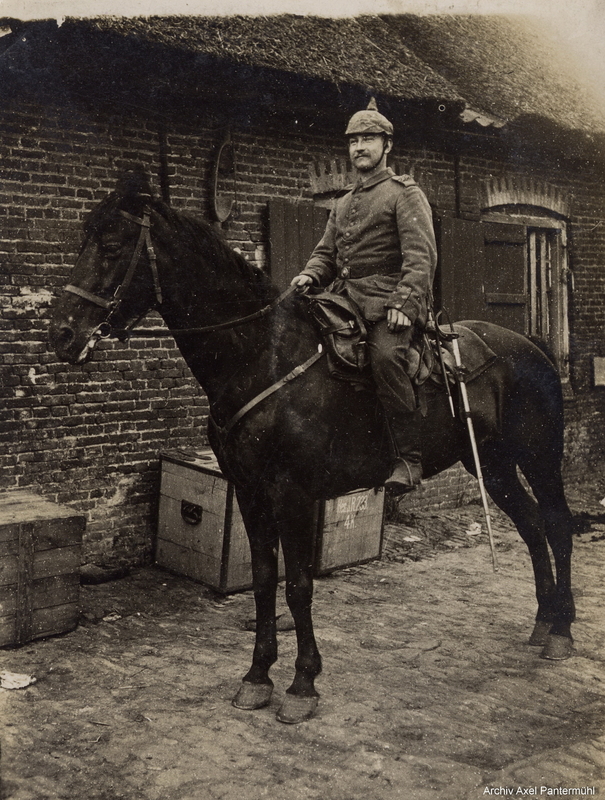 In the background of the picture of him mounted on the horse can be seen a box with that unit’s identification on it. Axel also states that before the second World War Fritz was not producing sporting firearms but was active in producing precision parts of aircraft and vehicle construction. 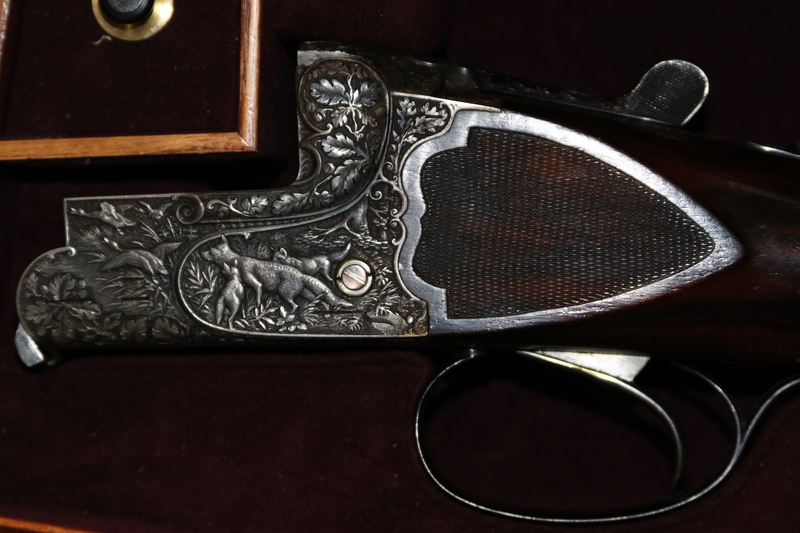 During the Depression of the 1930’s the sale of hunting rifles and shotguns was very difficult. 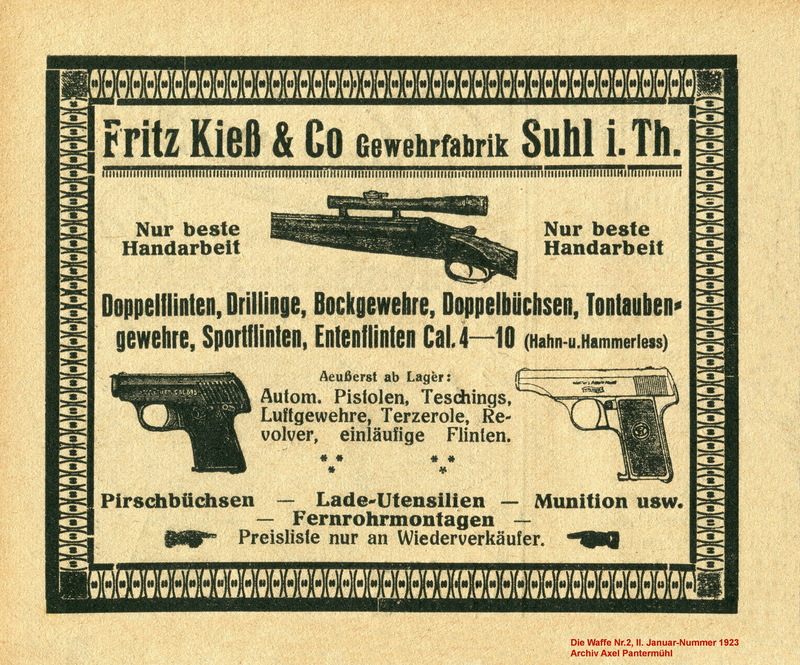 The last advertisement that Axel Pantermühl was able to find for Fritz Kiess manufacturing Hunting weapons was 1932. His brother Edgar advertised in 1931 to 1937. After 1932 Fritz began supplying standard parts such as screws, bolts, nuts and bearings and as the war neared he began supplying these to the Aircraft factories and his Company was assigned the code mark “ghf”. Fritz had a slight stroke in 1941 and his wife was very ill. Otto Kiess was appointed as Managing Director on April 1, 1941. Otto had previously worked for Keilpart who made measuring tools. Note- I wish to thank Axel Pantermühl for all of this information. The following images are courtesy of Axel Pantermühl and are from his Archives. 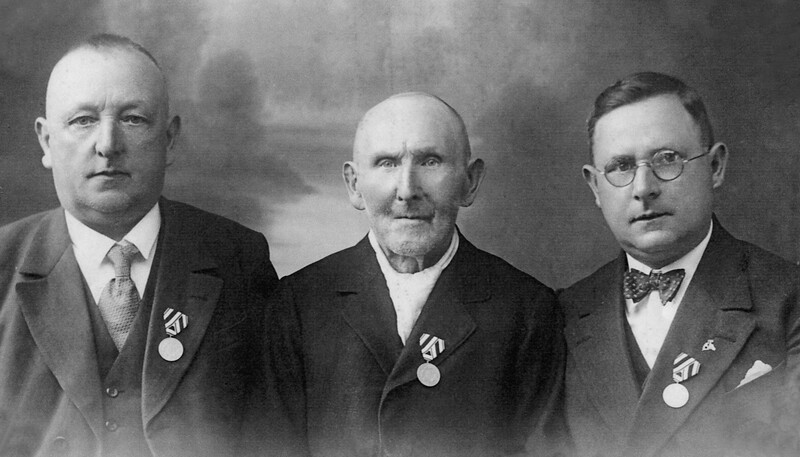 Standing from left to right- Max Kiess, Fritz Kiess, Richard Kiess, Robert Kiess. 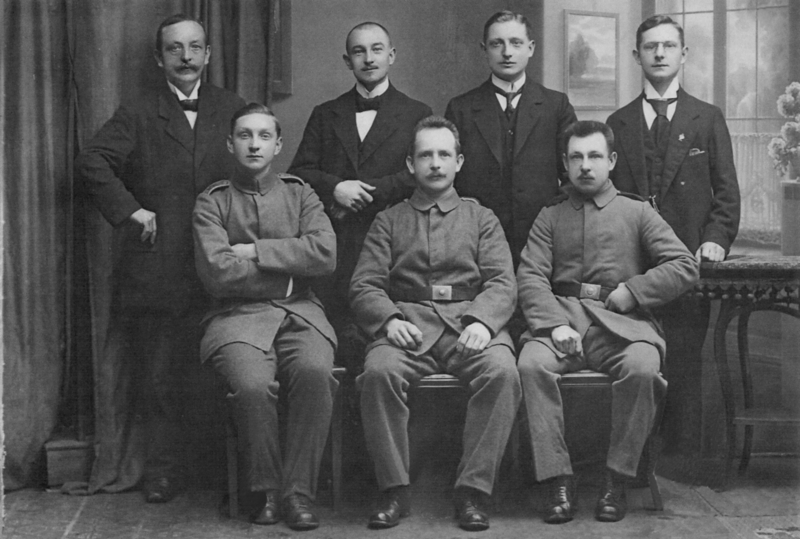 Seated from left to right- Edgar Kiess, Emil Kiess, Ernst Kiess. From the archive of Axel Pantermühl. Fritz Kiess in his Infantry uniform , note the label on the box behind him. This was probably taken during the first World War. 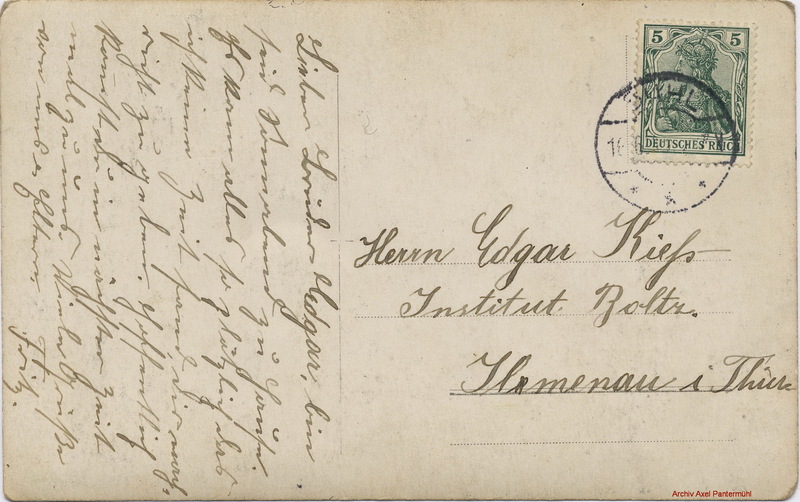 The reverse side of the above post card addressed to his brother Edgar who was at the Institut Boltz in Ilmenau. 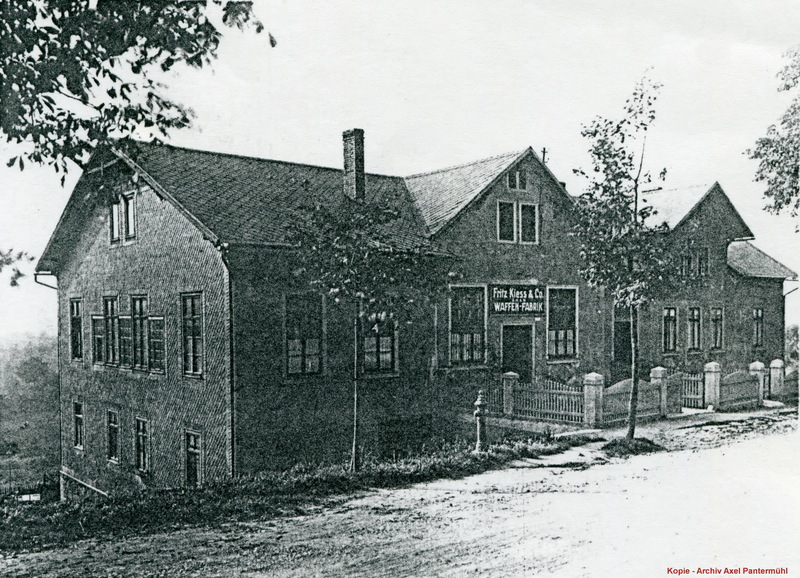 This was a school where children learning problems were tutored . Following are three advertisements from Axel Pantermühls archive. An advertisement from 1930. From the Archive of Axel Pantermühl. 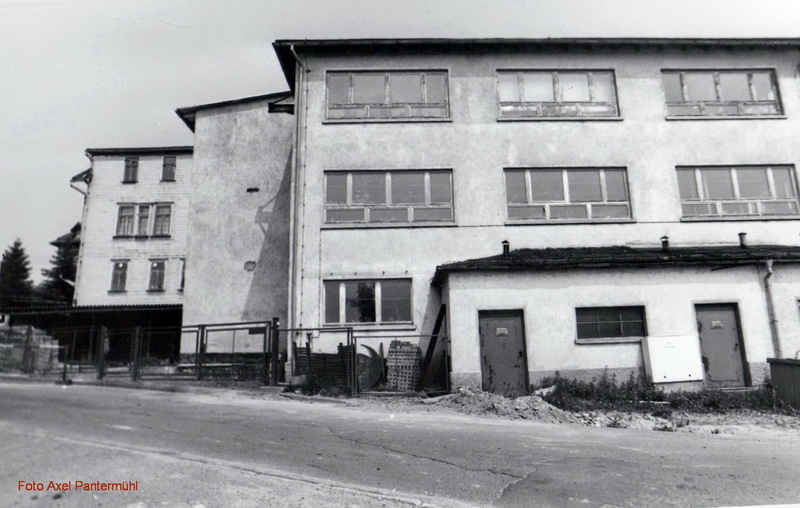 In 1985 Axel Pantermühl visited the address of the Fritz Kiess building and the following two views were taken at that time. These are from the archive of Axel Pantermühl. 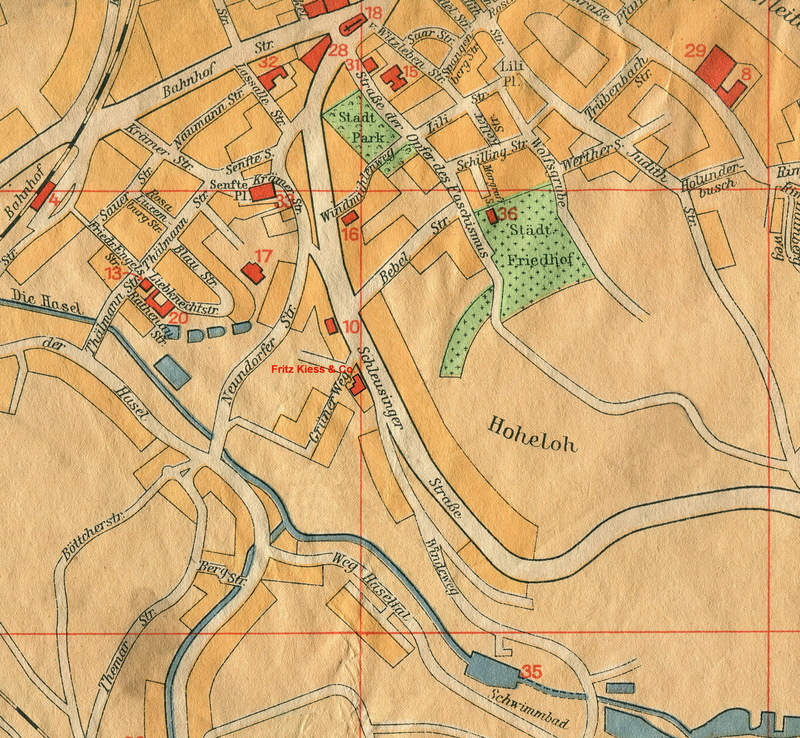 The following 1948 map of the city of Suhl shows the location of the Fritz Kiess property in the center of the map. 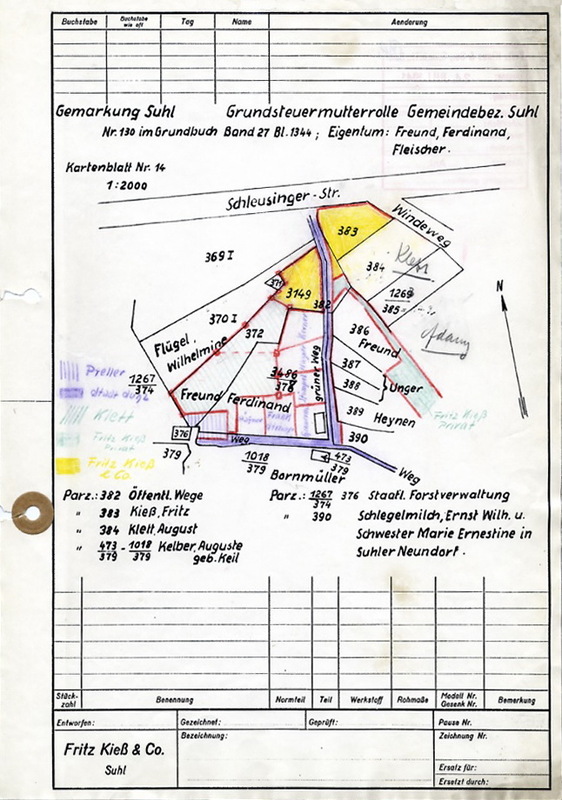 The following document shows the layout of the Fritz Kiess property on that corner no. 383 in yellow. 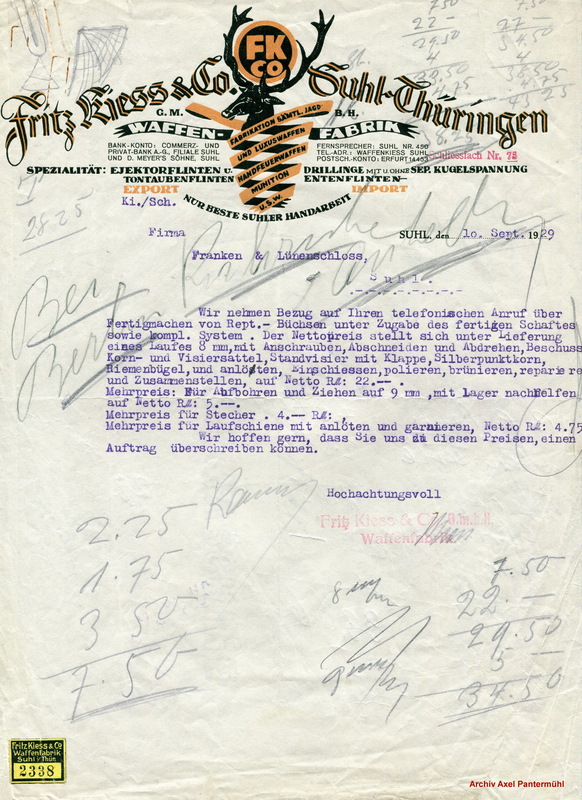 Following are news items Axel Pantermühl found in his archive of periodicals pertaining to Fritz Kiess. A Google translation will follow each. 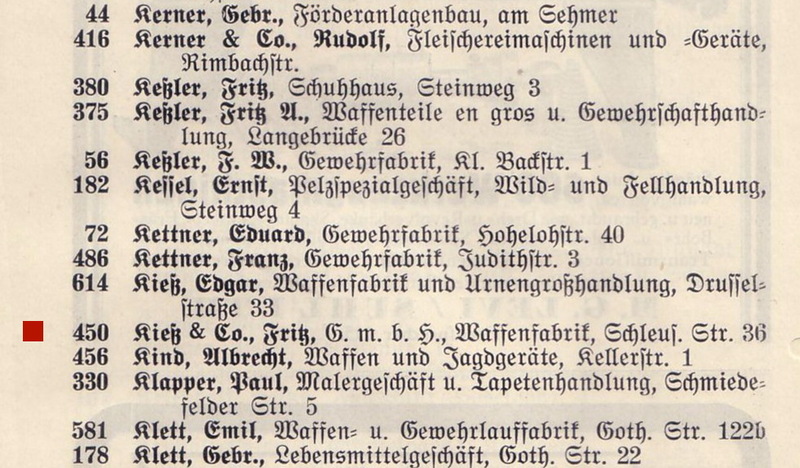 Google Translation: In the trade register is the firm Fritz Kiess & Co. G.m.b.H. registered with the seats in Suhl. The Company contract is fixed on 12, Feb. 1921. The object of the Company is the production and sale of hunting weapons. The registered capital is 118,000 marks. Managing directors are the manufacturer Fritz Kiess, the merchant Leopold Stotz and the business man Josef Grössl, all in Suhl. Google Translation: In the department B in the firm Römerwerk A.G. in Suhl has been registered : the procuration of Otto Kiess is extinct. Fritz Kesting has left the Executive Board and the businessman William Grübler and engineer Otto Kiess have been appointed as members of the Management Board in his place. Google Translation: DRGM class 72b, # 1126393. 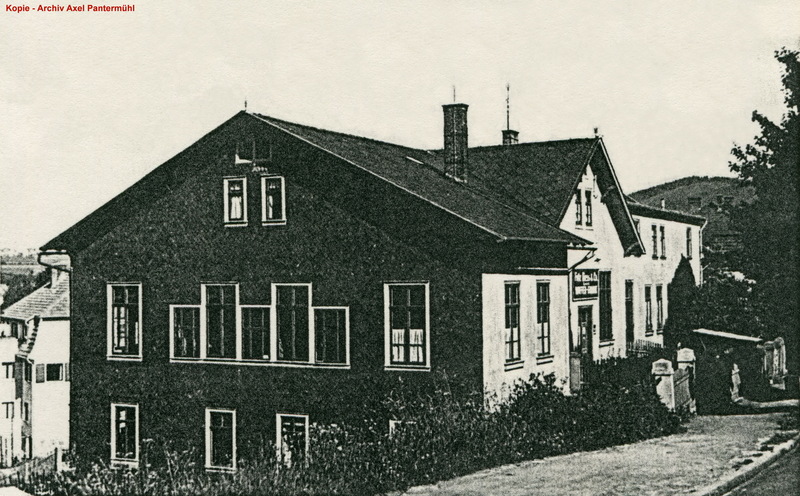 Fritz Kiess & Co. G. m. b. H., Suhl. One shot shotgun pistol. Google Translation: DRGM class 72a, #1264011. 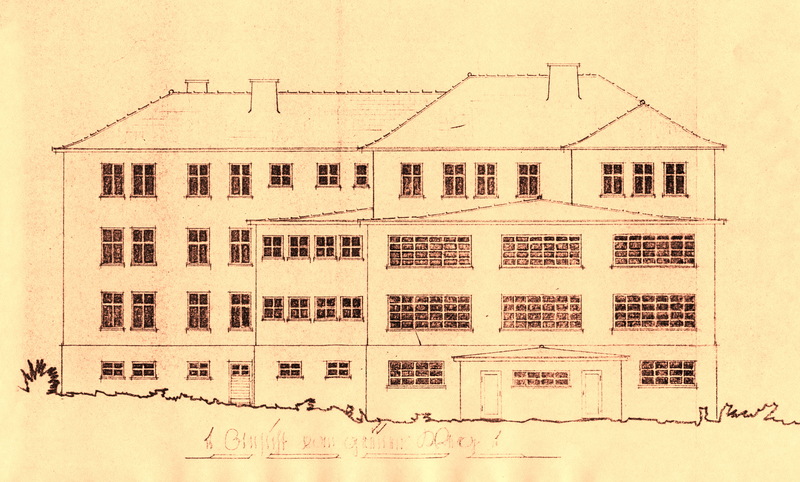 Fritz Kiess & Co, G.m.b.H., Suhl. Cartridge feeder for multi-load guns without special magazine, with display device of the availible shot number. 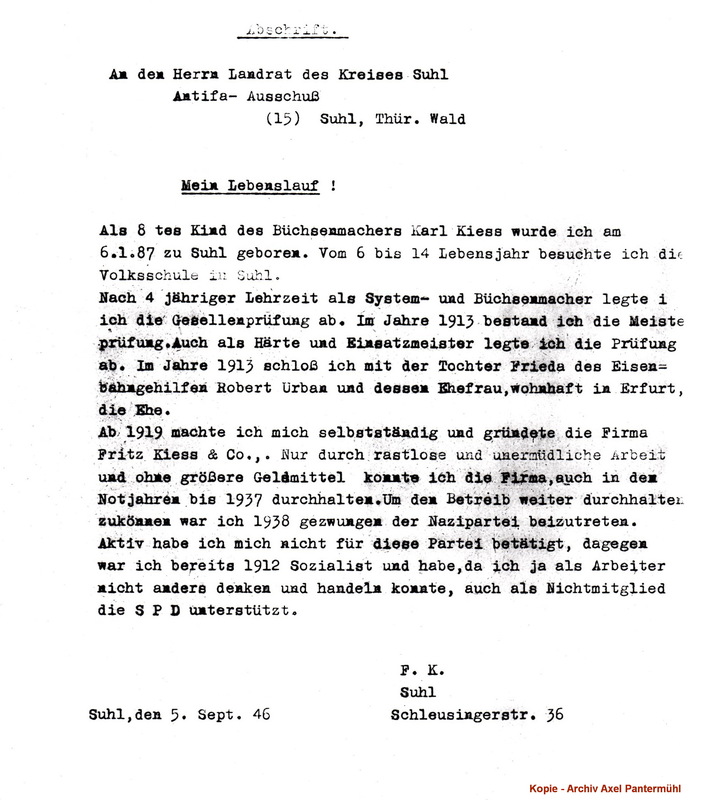 Following is a letter Fritz wrote in Sept. 1946 giving his biographical background and explaining his political associations and beliefs as an accounting probably required by the Authorities. This is a Google translation of that letter. The Chairman of the commission to carry out the commands 124 and 126 in the district of Suhl Negotiation over Objection! In the meeting of the commission of 10.5.1946 your objection was treated and decided as follows: The Company was named as under 1F of the command 124 of Marshal Shukow designated falling. However, as the proprietor was forced to join the NSDAP only in 1938 and was only a member of the Nazi party there, which can not be found guilty of war crimes after a review, the local commission advocates removal from the sequester. The Suhl Telephone book from 1928/29. From the Archive of Axel Pantermühl. 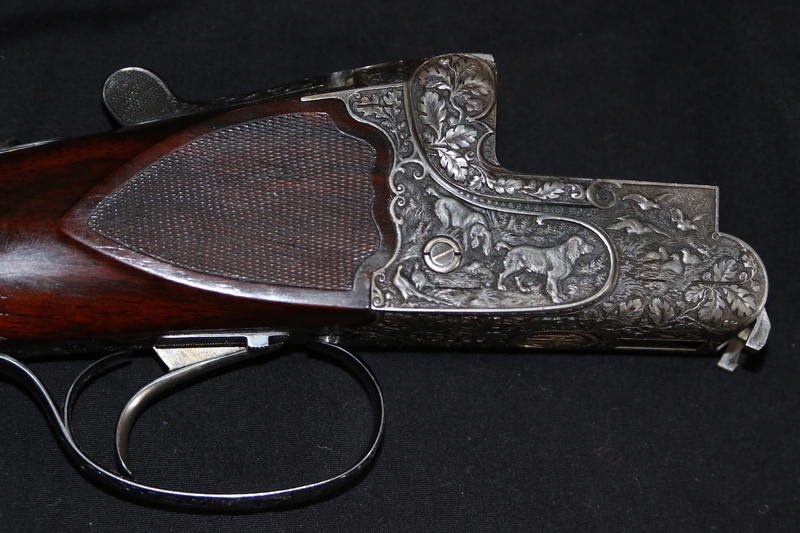 The following Charles Daly Regent Grade over under has the Fritz Kiess trade mark on the receiver.